1. Don’t change your normal diet, especially if you already have good eating habits. For example, don’t skip a meal in anticipation of a big holiday spread. This is a very common mistake. Eat your normal meals at their normal times and you will find that you eat less at the “event” meals (e.g., Thanksgiving dinner). 2. Eat prior to arriving at a family or social gathering. With the large amounts of food available at most holiday gatherings, it is very easy to overeat. One way to minimize this is to eat a small meal prior to arriving at the event. Because if you are not hungry, you will be far less likely to overeat. 3. Avoid drinking calories. You might be amazed at the number of calories in many holiday beverages. For example, a 12-ounce soda typically contains about 150 calories. A packet of hot chocolate contains about 120 calories. And that’s before you add whipped cream or marshmallows! This may not sound like much but it can add up very quickly, and these are some of the lower caloric values. That old holiday standby, eggnog, can have 340 calories in a single 8-ounce glass! So, try drinking lots of water instead. 4. Develop an eating plan. Don’t leave your nutritional choices to chance, especially on the days of family gatherings. Figure out in advance what and when you will eat. Then stick to your plan. Make sure you incorporate foods you really enjoy. Now is not the time to try to eliminate your unhealthy eating habits. There is very little chance you will be successful. Just try to eat sensible portions and incorporate lots of healthy and nutritionally-dense foods like vegetables as well. 5. Don’t be afraid to indulge—a little! It’s the holidays, have a good time. Don’t stress yourself out by trying to avoid all “bad” foods. If you want a piece of pie, eat it. It you want some cookies, help yourself. Just don’t overdo it. If you are worried about overdoing it, make a deal with yourself to hold off on the desserts until your last meal of the day (instead of eating them throughout the day). You’ll be less likely to overdo it at this point. Follow these simple tips and you will make it through the holidays without significant weight gain or the guilt that follows. If you’re really looking to work off the holiday-induced bloat, be sure to check out some of Wahoo’s planned workouts on the ELEMNT for inspiration. Have a safe, peaceful and enjoyable holiday season! 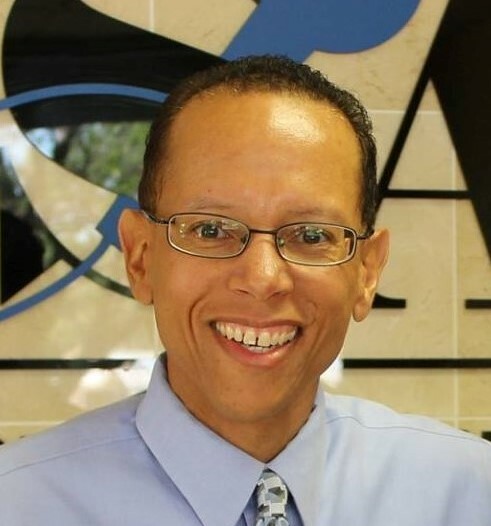 Tyrone A. Holmes, Ed.D., CPT, is a certified personal trainer through the American Council on Exercise, a Level 1 cycling coach through USA Cycling and a TrainingPeaks Level 2 Certified Coach. He provides Cycle-Max Coaching for cyclists and multisport athletes who want to improve their performance on the bike and Healthy Life Coaching for individuals who want to lose weight and live a healthier lifestyle. Dr. Holmes has published several books including Training and Coaching the Competitive Cyclist, Developing Training Plans for Cyclists and Triathletes and The Business of Training and Coaching. Visit his website at www.holmesfitness.com.